Did you get HTC One Mini and want to upgrade it to KitKat 4.4 OS? If yes, then I have got an *extra* thing for you. I hope you know "CyanogenMod" ROMs. Most of you might know what's that, so I won't write a long paragraph on explaining what CyanogenMod is. HTC One Mini users can now enjoy latest Android OS, Android 4.4 Kit Kat on their mini devices. Also, it is not 4.4 OS, it is based on latest CyanogenMod sources: 4.4.2 KK. The ROM is built by recognized developer h8rift in XDA-Developers website, which is very much popular for development and Android tricks and tweaks. Also this ROM is compiled with 4.8 toolchain, which modifies RAMDisk by tweaking it and also it has modified load address. The ROM is tested by users and is fully compatible with ClockWorkMod Recovery (touch recovery has not been tested yet) which is fully working on HTC One s-off and unlocked. MXRootRom wants to remind there users that MXRootRom is not responsible for their bricked HTC One Mini while trying this guide. Firmware installation voids the warranty and therefore the users may try this guide on their will. 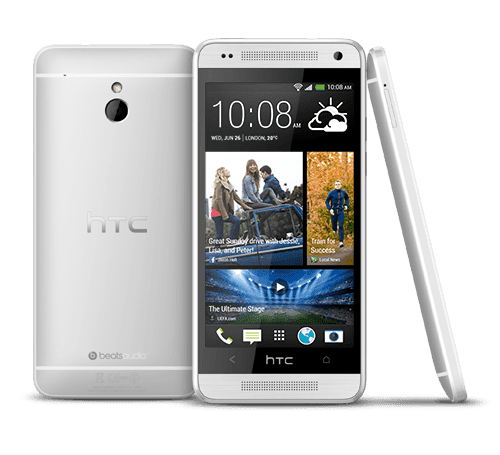 The installationg guide of Android 4.4.2 Kit Kat CyanogenMod ROM is only meant for HTC One Mini users only, and not for HTC One or any other HTC or non-HTC device. If you are trying this ROM in your handset, then let me be clear that it won't boot in any device except HTC One Mini and MXRootRom holds no warranty about their devices. Make sure you have latest version of recovery. TWRP (Team Win Recovery Project) v2.6.3.0 and CWM (ClockWorkMod) v6.0.4.5 is fully compatible with this ROM, if you don't have these recoveries, then also it will work fine. Backup your device before trying anything mentioned in this guide! You can make a Nandroid backup in CWM Recovery by going to Backup and Restore and selecting Backup option. For TWRP Recovery, go to Nandroid backup, and select every partition to backup them and press X. Do make sure that the drivers are installed on your computer to connect HTC One Mini so that you can transfer files (ROM and other ZIPs). Ensure USB Debugging option is working. To reveal the option, go to Settings, follow to About phone and tap 7 times on build number. Now go back and you will see a new option Developer options. Enable it and enable USB Debugging too. Make sure you have more than 70% of battery to install Android 4.4 Kit Kat (CM 11) on your device. Also confirm that your device is unlocked (depends upon carriers) and rooted with the TWRP or CWM Recovery. CyanogenMod 11 (Android 4.4 Kit Kat OS) ROM: Click HERE. Power off your mobile phone by pressing power button for sometime and clicking on Shutdown. Now press and hold Volume up and Power button simultanesouly for sometime and when there will be a splash, stop holding Power button but keep holding Volume down button until you are in Bootloader. Press volume down buttons to select Recovery option in the Bootloader console. Press Power Button to enter into it. Make a full wipe by pressing on Wipe data/Factory reset option (this will delete your all messages, emails, applications, data and everything except SD Card and System.) Now press Wipe option and swipe left to right on Swipe to factory reset option in TWRP. Tap on install and follow to the cm11.zip which you recently moved to your SD Card and click on it. After clicking on, it swipe on Swipe to confirm flash. If you want to flash GApps, then follow these steps again but replace CM11.zip by GApps! Now flash boot image (boot.img) file by fastboot. Select reboot and then tap to system to reboot your device. It will be soon running on latest Android 4.4 Kit Kat OS. Shut down your device completely and keep it untouched for few seconds. Perform wipe data/factory reset by selecting this option in CWM Recovery and confirm it (this will delete everything like TWRP except System and other filesystems.) Now go to advance and select on wipe dalvik cache and again, confirm the option. Go back and select wipe cache partition and confirm it! Select Install Zip from sdcard and select Choose zip from sdcard option in the CWM Recovery. Browse and select the cm11.zip ROM from your SD Card. Repeat all the actions (except wiping) to flash GApps as well on your HTC One Mini. Go back to the main menu of CWM Recovery and select reboot system now option from it. It will not take more than 10 minutes to boot into the CyanogenMod 11 or Android 4.4 Kit Kat OS. If your device gets stuck at bootloop or doesn't boot till 10 minutes then wipe again without flashing the ROM from any recovery.